Useless Ban on animal testing for household products announced by government! The ban, announced by Lynne Featherstone Home Office Minister on 12th March 2015, is due to come into force in October but it will only make it illegal to test finished household products on animals, with exceptions being made for the testing of ingredients. Currently, in the UK, few or no animals are being used in toxicological procedures for the purpose of substances used in the household. 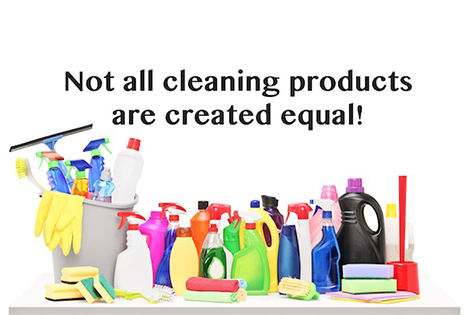 In fact, finished household cleaning products have not been tested on animals in Britain since 2010. As it’s usually the ingredients not the finished products that are tested on animals, this means the ban is set to do next to nothing to help animals. I’m sure you will agree that it’s completely unacceptable to use animals during the development of new products that are simply duplicating similar products that are already in the marketplace and effective for the purpose intended. Rabbits, hamsters, rats and mice are injected, gassed and killed for products such as washing-up liquid, air fresheners and dishwasher tablets. Such unnecessary suffering simply to bring more household products to the shelves is completely unacceptable and should have ended long ago. When the coalition came into power in 2010 it pledged to end animal testing on household products in its programme for government. Since the coalition made this promise, Naturewatch Foundation, together with several other UK animal welfare organisations, has been lobbying for the full ban to be implemented as promised. In September 2014 we received a letter from the Home Office reaffirming the coalition’s promise to end animal testing for household products. Earlier this year, Home Office Minister Lynne Featherstone vowed that a full ban on animal testing for both products and ingredients would come into force before the general election. This is yet another broken promise as animal experiments in Great Britain continue to rise despite a post-election pledge by the Coalition government to reduce the use of animals. Latest figures published by the Home Office in July 2014 show 4.12 million experiments were carried out upon 4.02 million animals. This represents a 52% increase since the year 2000! Since 1991 Naturewatch Foundation has campaigned against the use of animals to conduct toxicity tests on cosmetics, toiletries and household cleaning products. In 1998, the UK Government were finally persuaded to ban toxicological procedures involving cosmetics and toiletry ingredients and products and, as of 11th March 2013, the sale of cosmetics and toiletries that have been developed using animal testing anywhere in the world is banned throughout the EU. The promised full ban on the testing of household products would serve as a statement of principle by the UK; ensure no further animals suffer during their development in the UK; and send a strong message to the EU and the rest of the world.